Adjacent to farmland, this recently constructed gated Village Home in a PRIVATE ROAD has a sea of parking & an integral Double Garage with adjoining Workshop, 9.6m x 5.6m Outbuilding in the sunny 39m x 22m Garden & 5,155sq ft of accommodation including a huge Hall, FIVE Receptions and SIX Bathrooms. This substantial and thoughtfully extended five bedroom home with a stunning kitchen/diner/day room is pleasantly located opposite wooded land in a private cul-de-sac conveniently placed for both the railway station and high street. Beautiful inside & out, this Det Home with Dbl Garage sits on 1.2 acres of landscaped gardens, centred around a covered Entertainment area overlooking a pond, with a private wood & several Outbuildings too. 2 Living Rooms, Study, 21ft Kitchen/Diner, big Utility Room, Cloakroom & 3 luxury Bathrooms. GUIDE PRICE £1,000,000 TO £1,100,000 Impressive family home in a private road by the High Street with ground floor underfloor heating, gorgeous Entrance Hall, Lounge with surround sound, Poggenpohl Kitchen/Breakfast Room, Study, Cloakroom,Villeroy Boch Bathrooms & Ensuites (2 bathrooms, 3 Ensuites). 5 Bed Det House in sought after neighbourhood just 400 yards from Billericay Railway Station giving City access in just 35 minutes. High Street just a minutes` walk further with its central Waitrose store. 32` x 14` Lounge, Dining Rm, Breakfast Room, Cream Gloss Kitchen, 14` Utility Rm, 2 Bathrooms. 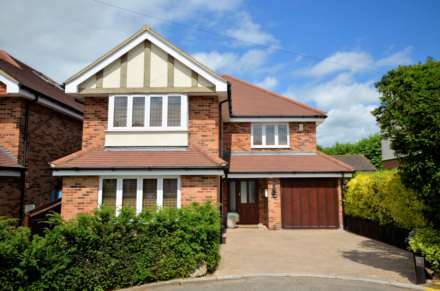 4 Bedroom Detached Non-estate House on large plot. The rear garden approx.100ft long x 130ft wide at its furthest point. FOUR RECEPTION ROOMS & Two bathrooms. Set back from the Stock Road behind a railing topped brick boundary wall. Plans passed for detached 3 bedroom bungalow within the grounds. Being pleasantly positioned in the well-regarded village of Ramsden Heath, with an approx 100` wide rear garden backing open Greenbelt land, this extended detached home offers elements such as 3 reception rooms, a large kitchen/diner and 2 bathrooms that are often sought in a family home of choice.